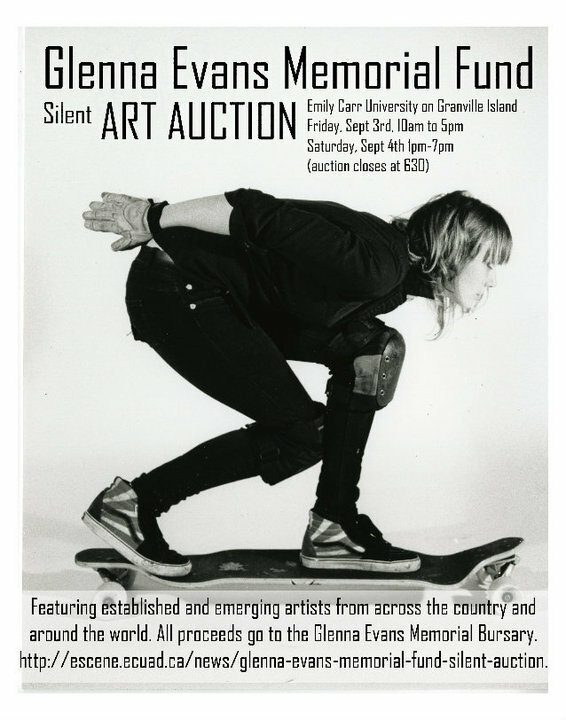 Emily Carr University is sponsoring a Silent Art Auction on Friday, September 3rd and Saturday, September 4th to benefit the Glenna Evans Memorial Bursary. All proceeds from the event will go towards the bursary established in her name for emerging artists at Emily Carr. Full details in the poster below followed by confirmed participating artists and sponsors. Open to the public and media. © Glenna Evans and her family. All Rights Reserved.